The combination of aperture size & wire diameter is crucial in providing accurate, long-lasting screening. H&B Wire manufacture a vast range of pre-crimped meshes, combining a wide range of aperture & wire diameters to give each screen its own characteristics in terms of strength & screening area. This is determined by the final application of the required screen. 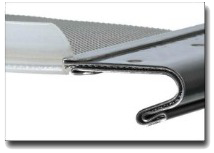 Screens are manufactured in High Tensile Steel, Hard drawn Steel & Stainless Steel AISI 304 & 316. HBWF have been supplying UK quarries with Quality Screens for over 35 years - our products are manufactured to the highest ISO technical standards. HBWF are approved to BS EN ISO 9001. 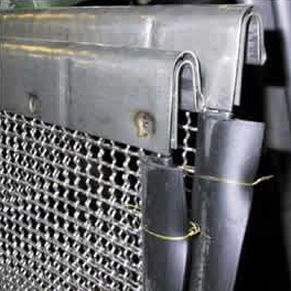 Hook Strips with Sheathed-ends & U-Sections. 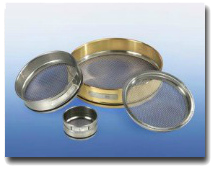 The HAVER Test Sieve range provides the optimum design for every operational requirement. 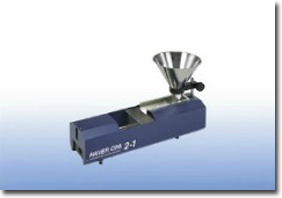 In combination with corresponding test sieve shakers of HAVER & BOECKER they provide integrated solutions for analysing product of almost every shape, size and consistency. 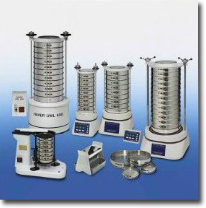 HAVER CPA systems provide particle analysis with standardised units and customised inline and online solutions for the largest abstract measuring range from 10 micron up to 400 mm. All particles of a sample which lie within the measuring range are analysed and counted in real time by the approved line scan camera.